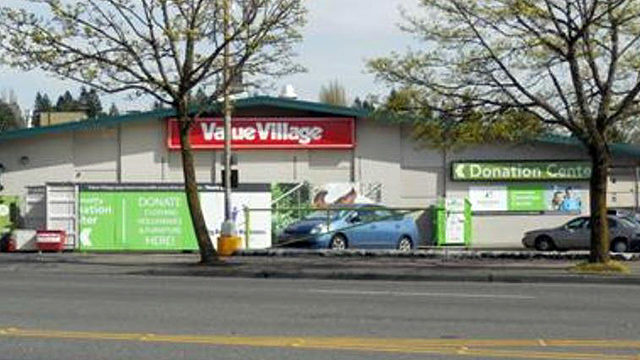 The Value Village in Lake City — a staple on Lake City Way Northeast since 1970 — is closing on Saturday, April 13, staff told customers this week. So you go to Crown Hill and you wonder why the Lake City location is closing? This is so sad! One of the employees who got transferred here from the Capitol Hill branch when they closed remembered me from waaaay back in the day from the early 2000s. They are closing because the property is worth millions. The one in Bremerton closed back in 2012. Miss it big time. Dang 🙁 I used to work there back in my early 20’s. Love my Value Village in Crown Hill. I would hate to see it go away. No more thrift stores, land is too expensive. Those who want vintage whatsits and used clothes will have to shop online… and even that is dwindling because the Greed Class makes it as painful as possible (like everything else). They closed ours a couple of years ago, I miss them. Land is worth millions and so is the owner of Val Villa. Great business model of convincing people to donate clothing, free inventory, and then donating a small percentage of profits after the fact. There are better registered non-profit thrift shops to donate to. I’m 57. I started going there at 13. So basically, the business and employees have been abused and held hostage by criminal elements and they are leaving our neighborhood for their own safety. Especially sad because that store is a real asset to the community. For years, many folks with limited incomes could find decent affordable clothing and household goods – not to mention jobs. Nothing else like it in the neighborhood. How long will that property remain vacant? Boarded up, graffiti’d, vandalized, a hangout for criminals, junkies and methheads? At what point does a community stand up and say enough is enough?